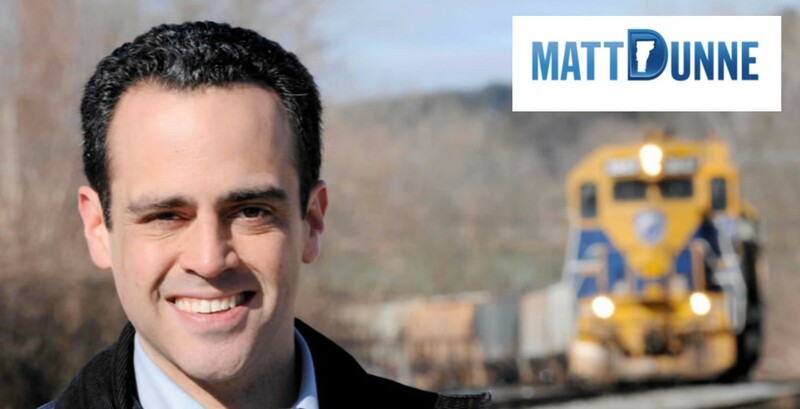 Matt Dunne appears to be encouraging himself to run for governor. Though the former Democratic state senator from Hartland claims he hasn’t yet decided whether to enter the race, his fledgling campaign sent three emails to supporters this week with messages from current and former lawmakers calling on him to run. The first came Monday, when Rep. Kevin “Coach” Christie (D-Hartford) emailed Dunne’s supporters — and reporters — to describe his decades-long relationship with the almost-candidate. All three emails ended with the postscript, “Paid for by: Matt Dunne for Vermont,” and were sent, Dunne says, to his list of “thousands” of supporters. Given all this self-encouragement, wouldn’t it be fair to say that Dunne’s already made up his mind? After all, he registered with the secretary of state's office as a gubernatorial candidate in July and announced a significant fundraising haul shortly thereafter. Dunne points out that, in 2005, he had already filed to run for a vacant U.S. House seat when he decided to defer to Peter Welch, a political mentor and fellow state senator from Windsor County. Instead, Dunne waged an unsuccessful run for lieutenant governor the next year. "In some ways, it was more commitment than I've made, certainly, thus far," he says, comparing his 2005 preparations to those he's currently undertaking. "The difference is the amount of support that we've received has been very significant." It's surely no coincidence that the support Dunne sought to broadcast this week came from current and former legislators. All three emails were sent before House Speaker Shap Smith (D-Morristown) announced his run for governor Wednesday, surrounded by a sizable portion of the House Democratic caucus. Dunne, who's been out of public office for a decade, appeared to be signaling that he, too, had the support of legislators. "Some of them are loyal to the speaker, for obvious reasons," Dunne says. "Having been a House member in the past, I can understand how that can happen. Shap is certainly someone who has treated his membership well and is a person of integrity." As Dunne seeks further encouragement to run, he's planning a listening tour that will land in each of Vermont's 14 counties. It's scheduled to begin August 27 in Rutland, he says, and will wrap up the third week of September. So then will he finally make his formal announcement? "We're actually seeing this series of gatherings as part of the due diligence process," he says. "We think it's important, if we're going to launch a campaign for governor, that you hear from Vermonters first."